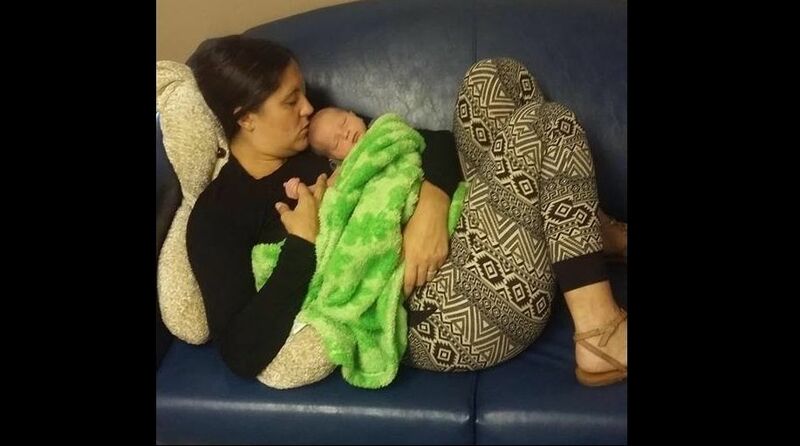 It has been almost 2 months since itinerant missionaries Christian and Danielle Holm's newborn baby was ripped from his mother's breast in an Alabama hospital by the Department of Human Resources (DHR). Social workers called in hospital security, police, and a sheriff's detective after the couple declined a social security card and birth certificate for their baby. There was a case of mistaken identity, but that was easily and quickly demonstrated to be false. There was no abuse and no neglect, but that didn't stop DHR from seizing the 1 day old infant from his parents, allegedly without a warrant, court order, or emergency circumstances. Their baby is reportedly still in foster care. Now, the FBI is allegedly stepping in. I'm Canadian and I sit here in tears as I read this missive of anguish. How horrible for the parents and most of all the child who was taken from the literal breast of his mother. As I read at the beginning I noticed the parents are missionaries and am wondering if that could be the reason behind the initial abduction. Makes no difference in my opinion because they have religious rights. Please let me know what the final decision was in this case. It's happening in Canada too! All western so-called modern countries! FYI, at least one of the offices that did respond to my letters regarding the Alabama DHR's abuses did not even know that they were tasked with oversight of the Alabama DHR. Thus, you might need to educate them about their DHR oversight responsibilities (e.g., Executive Order 11). According to the SCOTUS "Bad Elk Decision", an unlawful arrest is an assault like any other assault and can be resisted like any other assault, up to and including LETHAL FORCE, if necessary, and with government goons we all know that is ALWAYS necessary and should be your FIRST response, unless you want to die. Also, according to the "Bad Elk Decision", any person has the right to free from captivity any person, that has been unlawfully arrested, by whatever means necessary, even if that person cooperated with the unlawful arrest. Until the goons that have set this totalitarian standard of obey or death are met with the same standard when they break the law this behavior will only get worse. Yes, the real savior is Colt and the men and women using Colts. Because giving credit to God for a broken clock being right twice a day is not credit that He would want, His ways are above our ways, don't falsely accuse or credit Him. Remember, the rain falls on the just and the unjust. Also, He is no respecter of men. We are God to each other, that's the ONLY way anything ever happens. So what has happened? It said the case was continued until Dec 14th. It is now Jan 7th. Can we get an update? The FBI should ask one question of Alabama child kidnapping specialists: Why did you seize the infant ? •	A child is physically injured by other than accidental means. •	A child is subjected to willful cruelty or unjustifiable punishment. •	A child is abused or exploited sexually. Any person involved in ANY manner in the unjustified seizure of a child is liable under 42 USC Section 1983 - Willful oppression under color of a State law. What needs to happen and it needs to happen now, is to force CPS to follow the law properly. This may not be a remedy for all the families that have already been harmed, but it does provide a remedy to all families in the future from being victims of the unlawful policy and procedure practices of CPS. CPS is guilty and should be held accountable for denying parents due process, denying parents of their parental rights, denying parents and their children of their constitutional rights, denying children of having the right to familial relations, withholding the information as to how to properly defend themselves in a court of law, discrimination, and premeditated conspiracy to commit a crime. They should be ordered by the court to immediately cease their current use of their unlawful policies and procedures in their departments and to follow the legal policies and procedures that do not infringe on the rights of others and give parents a legal recourse of action in order to defend themselves in a court of law. I've been researching the judicial process and the policies governing the process in order to find what the proper recourse parents have when they have been falsely accused and their children taken by CPS since 2005 and I have finally found the answers I have been looking for. The answers should have have been known by multiple departments of the judicial system as well as CPS. One would think that if this information should have been known then it would be a fairly easy thing to find out right? Wrong! It's taken me 11 years to uncover the information I was looking for that my Public Defender and CPS should have known and informed me of. Parents would have known this information if CPS had included with the petition served to the parents the proper forms for the parent to file a response to the petition with the courts. Oh, but that's right, parents don't get to meet their public defenders till the day of court and here recently the policy is to hand the parents a copy of the petition as they walk into the courtroom instead of mailing it 24 hours prior to the court hearing which is required by law! It's part of the policy to include a response form for the other party to respond to any petition filed with the courts in order for them to be able to defend themselves against false accusations. This is part of the policies and procedures that CPS is ignoring. Now why wouldn't CPS want a parent to be able to file a response with the court to try and defend themselves? Seeing how it is only in the 1st court hearing where the Prima Falsey evidence can be disputed, the parent never being informed of the fact that they can file a response to the petition, nor being given the proper documents required to file a Responsive Declaration along with receiving the petition, and not being serviced properly in order to file 9 days before the court hearing, makes it unfair to the parents of the children that CPS is abducting. The balance of justice is not equal, it's one sided. What is even more heart wrenching is the fact that many parents end up having their parental rights terminated because CPS has 18 months to screw with the parents. How many parents get their children back before the 18 month deadline to complete their case plan? CPS accomplishes their task of terminating a parents rights by putting on the pressure and making parents jump through unnecessary hoops all the while knowing the psychological consequences of how a parent may react to such pressure. These parents would still have their children if CPS hadn't stepped into their lives involving themselves and causing them extra add stress and pressure that normally wouldn't be there in the 1st place. 1) Parents who have had a history of addiction and/or drug related issues. CPS knows that this group seeks chemical solutions to their emotional distress and just because an addict is clean and sober doesn't mean that they can't fall. CPS knows this and plays on that fact. 2) Parents with emotional and behavioral disorder issues. CPS discriminates against this group. Knowing that this group has disability issues, they often don't help a parent find reasonable solutions in being able to parent. Example would be if a parent is dyslexic and can't read. I've seen them use that as a negative against the parent in a report to the court as to why they need to terminate parental rights. A simple solution would be to set up a tutor for the child with the school or a family member who would be willing to read with the child on a daily basis. Problem solved and the parent/child bond doesn't have to be broken. If they have a child in their care that was physically abused, this is the list of possible behaviors to look out for and here is a list of different ways one might try to respond to each behavior on that list. If they have a child in their care that was sexually abused, this is the list of possible behaviors to look out for and here is a list of different ways one might try to respond to each behavior on that list. If they have a child in their care that was abandoned and neglected, this is the list of possible behaviors to look out for and here is a list of different ways one might try to respond to each behavior on that list. One could conclude that if CPS knows and understands the psychological behaviors of how people may or may not respond to different situations, then CPS knows exactly what they are doing and/or causing to happen when they are overloading someone's plate with unnecessary tasks. They are also painfully aware of the devastating effects of separating a family. If this is true, then CPS is guilty of denying parents due process, denying parents of their parental rights, denying parents and their children of their constitutional rights, denying children of having the right to familial relations, withholding the information as to how to properly defend themselves in a court of law, discrimination, and premeditated conspiracy to commit a crime. As for the consequences CPS should have placed upon them? I'm at a loss because there is no dollar amount that can be set for the amount of emotional damages that have been caused due to their actions, those have to be mended with time. The blame lays on Child Protective Services who initially abducted the children from their parents and illegally made the family participate in completion of a case plan in their system out of greed in order to acquire federal dollars, the Public Defender's that didn't properly inform their clients of their legal options, including the option to ask for a continuance to allow them the proper time to invoke their legal right to file a response to the petition in their own defense, and anyone else who knew the proper policies and procedures of petitioning the courts who were asked by a parent as to what their legal recourse was in defending themselves against the lies in the CPS caseworkers report to the court. There are many unanswered questions as to how to we reconcile all the damages caused to all the parties involved. What about the parents whose children have been wrongfully adopted out, how do we fix things for those parents? What about the children that are settled with their new families, do we cause them even more emotional damages by forcing them to live with their biological parents? What about the damages to the adoptive parents who are now attached and emotionally invested with their child/children that they adopted? I don't know how to answer or solve those questions. It's not the fault of biological parents nor is it the fault of the adoptive parents nor is it the fault of the children. Perhaps maybe the 2 families could come together and co-parent the child/children for the benefit of the child. What is known is that each of these groups were harmed by CPS and others in these acts of greed that were allowed to go on for far too long. CPS should be ordered to cease petitioning the courts and parents with their current unlawful procedures that they are currently using in their departments because it is discriminating and is premeditated conspiracy. It also denies parents their rights to due process, of their parental rights, parents and their children of their constitutional rights, children of having the right to familial relations, and the right to be informed of how to properly defend themselves in a court of law. If you are a brother, sister, aunt, uncle, parent, step sister, step brother, mother in-law, father in-law, brother in-law, sister in-law, cousin, grandparents, great grandparents, etc... your life and connection with a child could be affected due to the current unlawful policy and procedure practices of CPS.